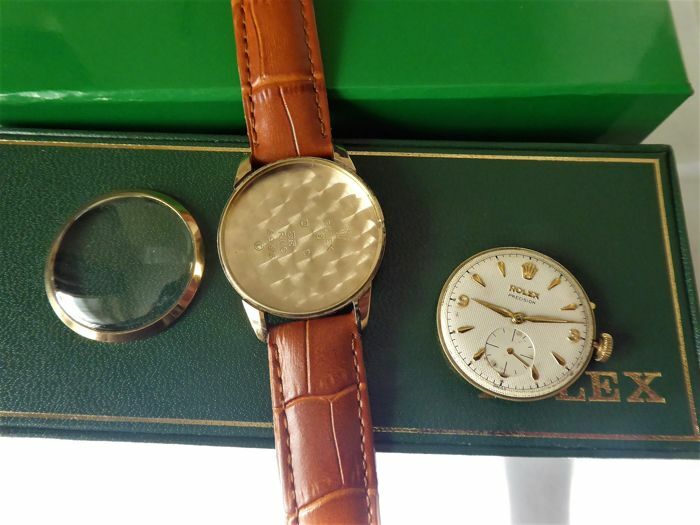 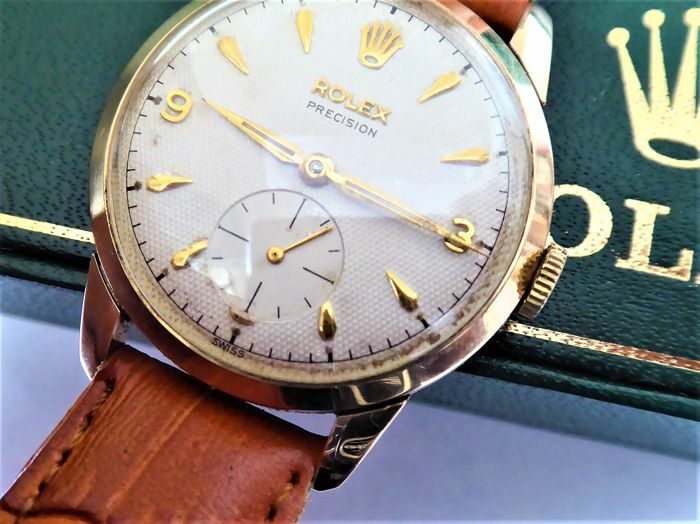 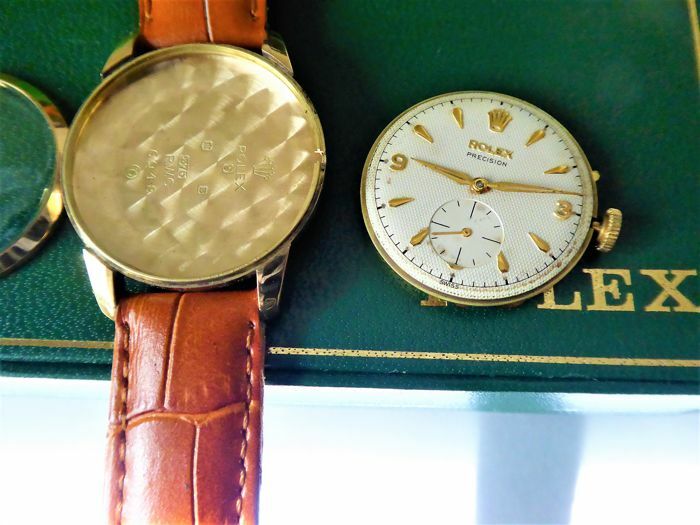 A very rare triple signed 9ct solid gold rolex with rolex case. 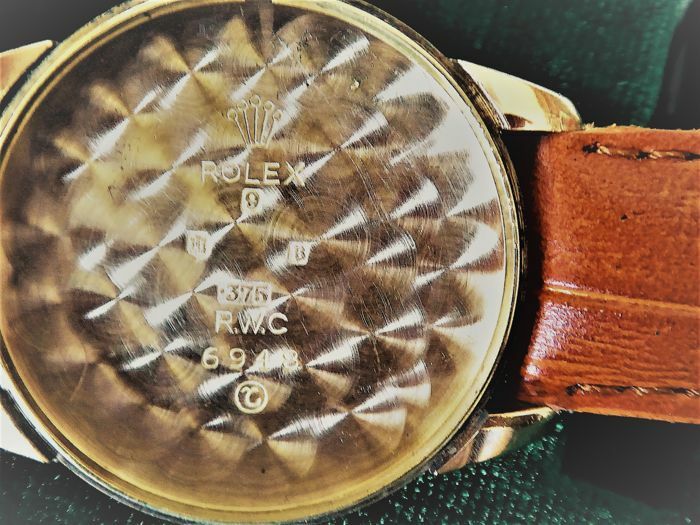 rarer type because of snake skin effect on original untouched dial. 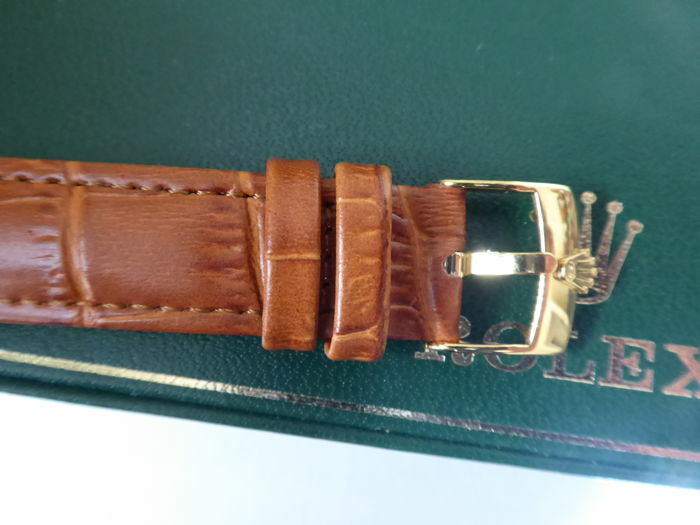 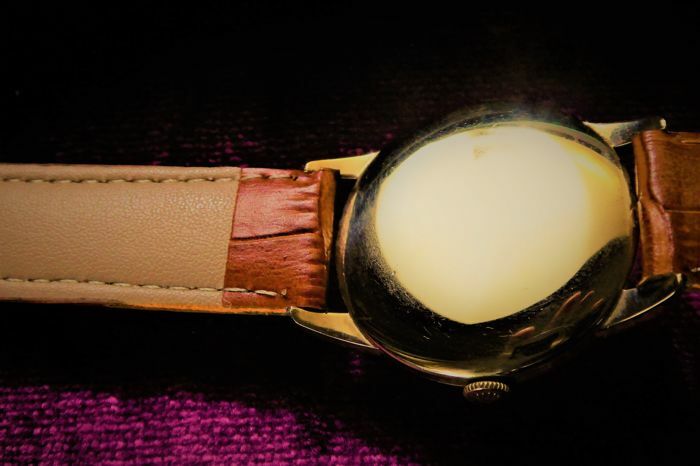 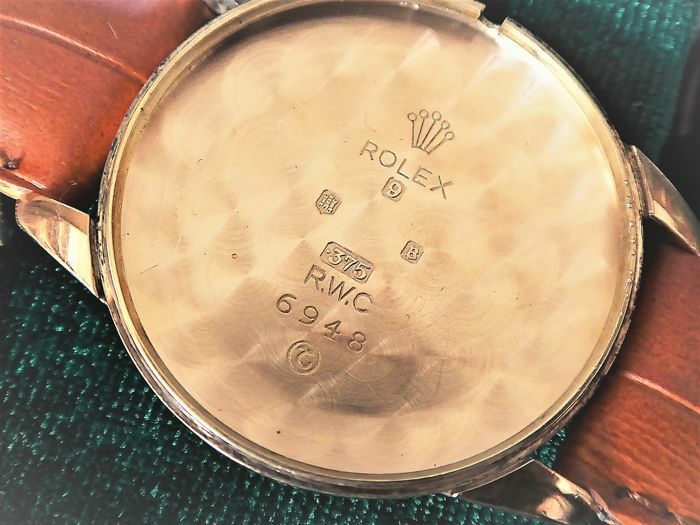 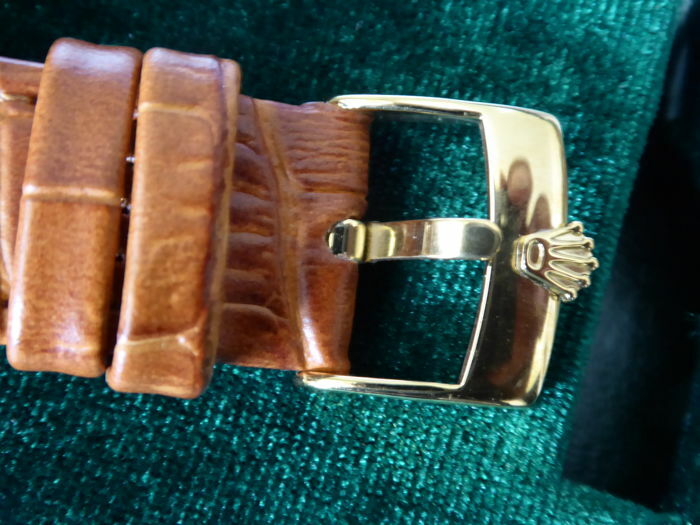 18 k plated buckle.. A 100% all original gents full size Rolex - triple signed Gents swiss wrist watch. 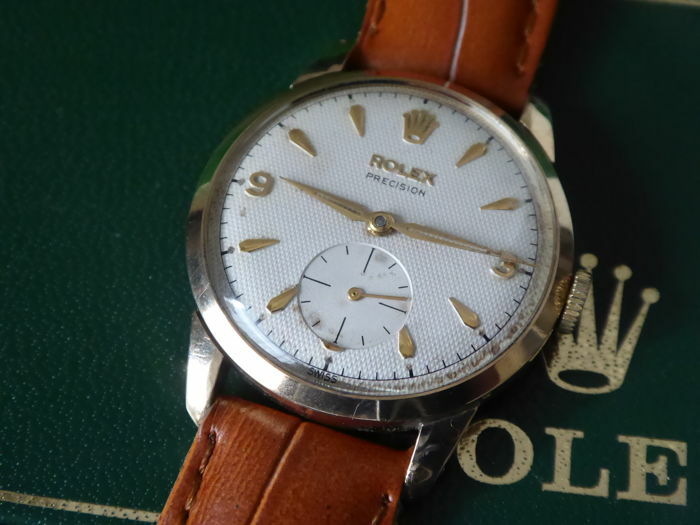 date made 1957-58, B. edinburgh. 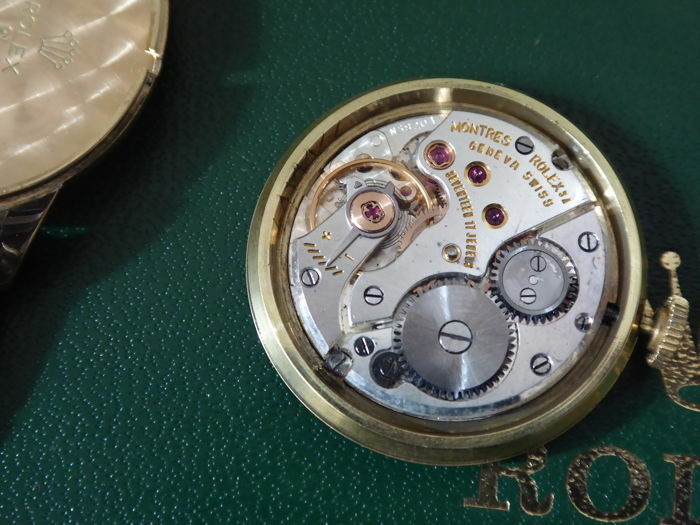 shock proof rolex movement. 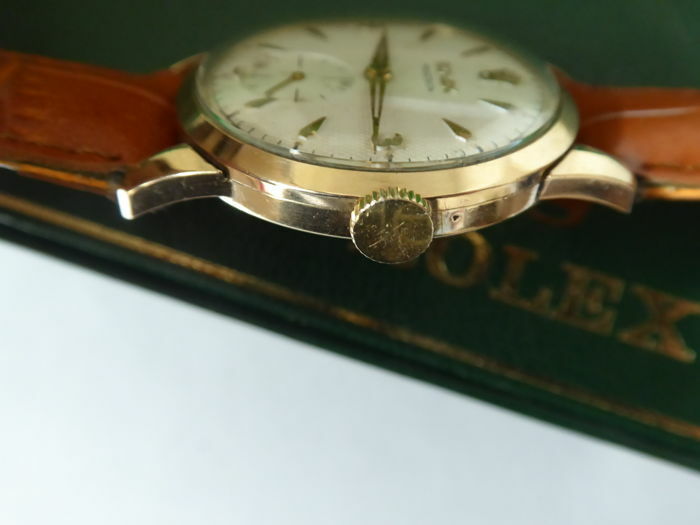 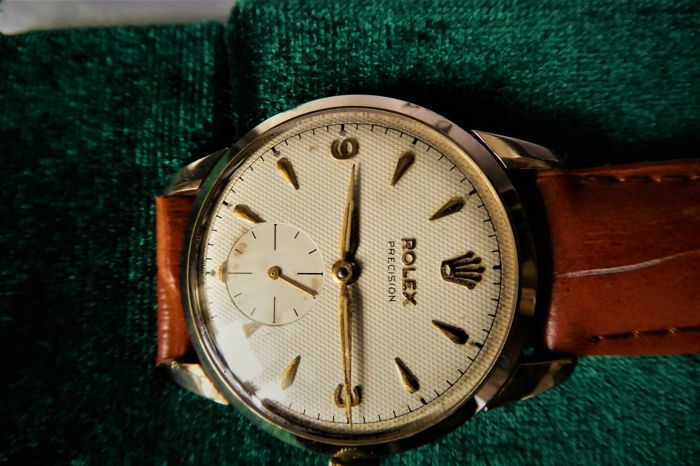 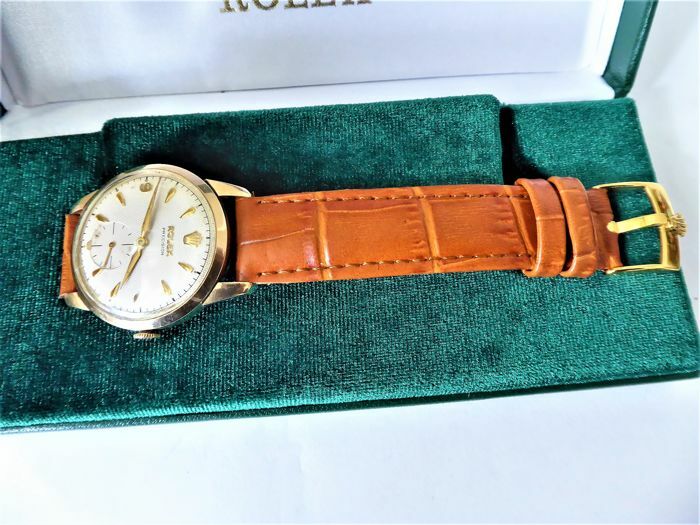 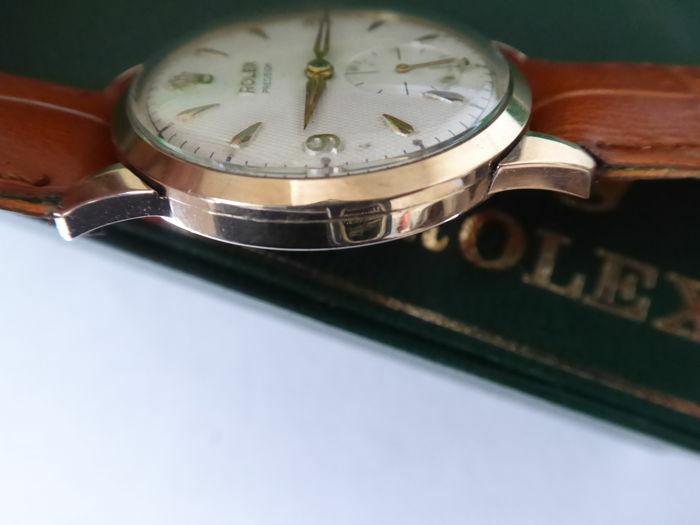 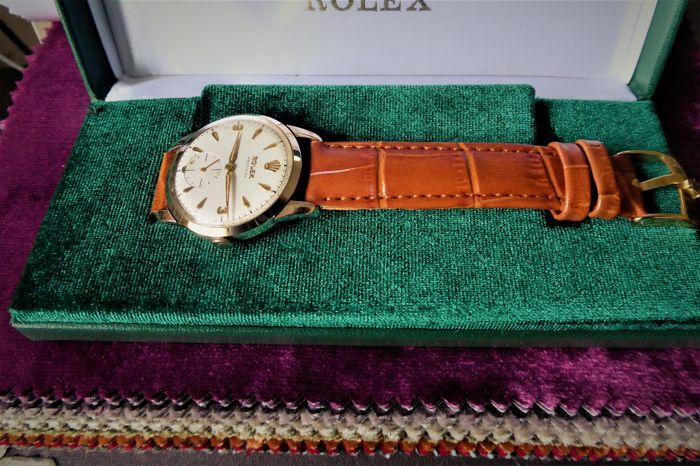 the rolex dial is original very near mint good condition. 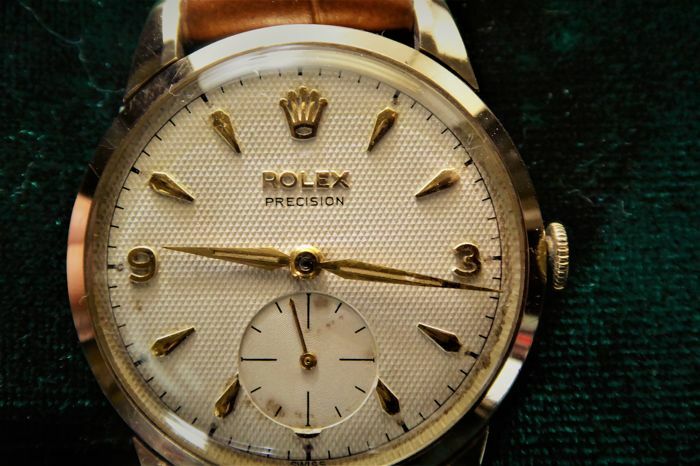 serviced recently. 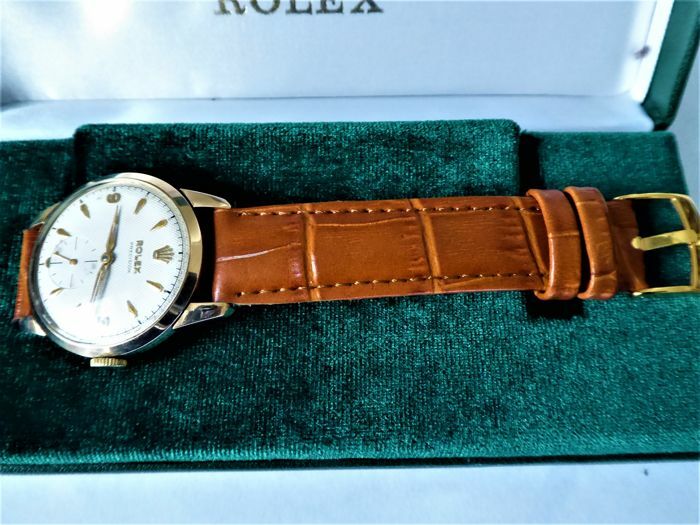 guaranteed 1 years. 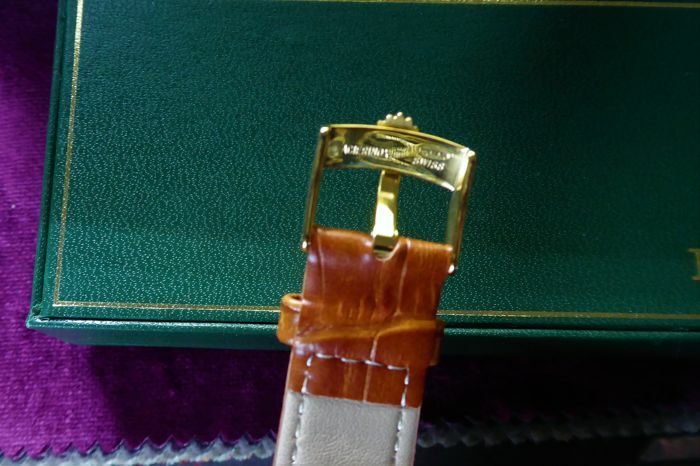 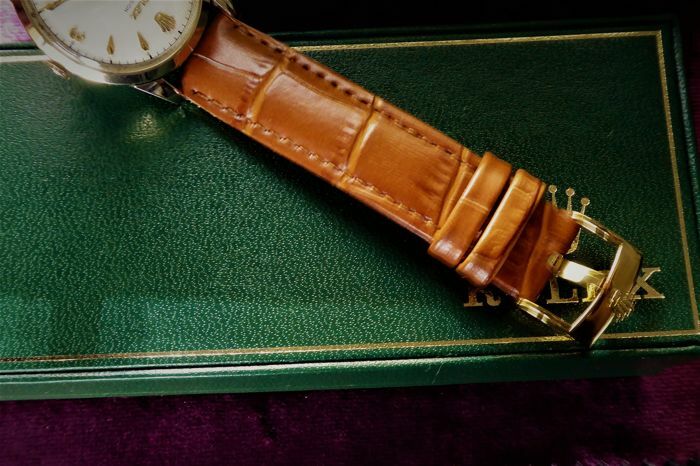 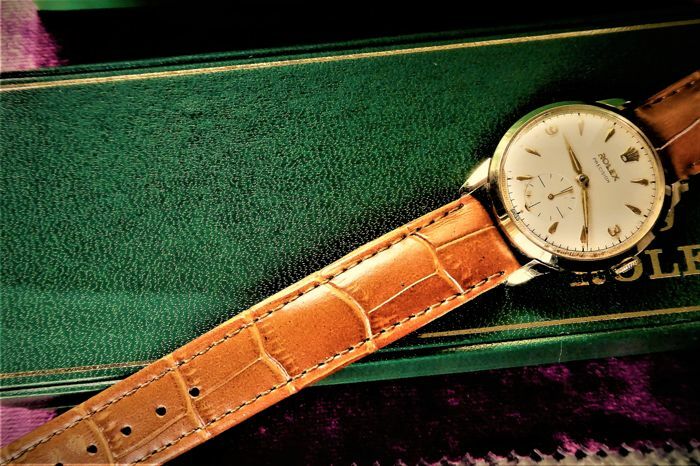 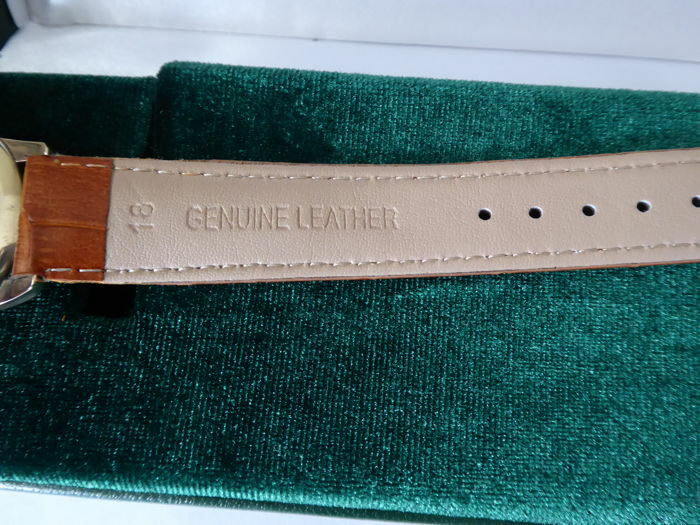 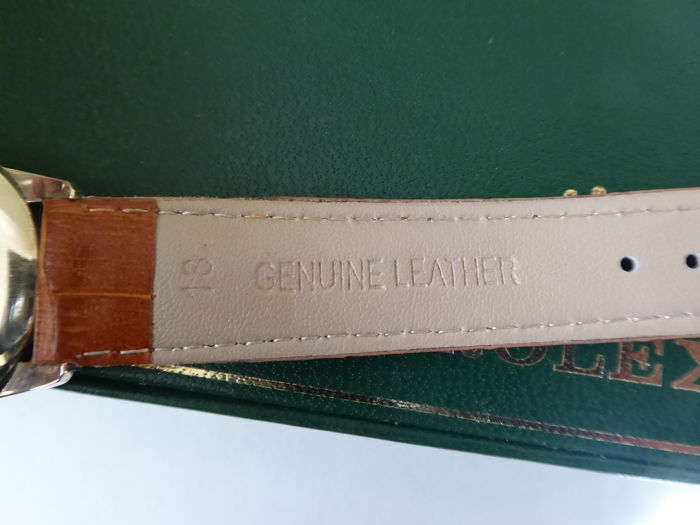 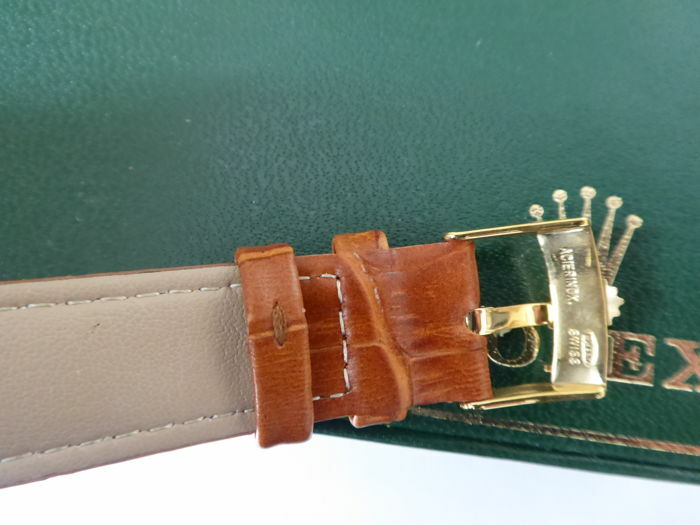 it has a high grade super quality water resistant stitched croc grain leather strap, made to last. 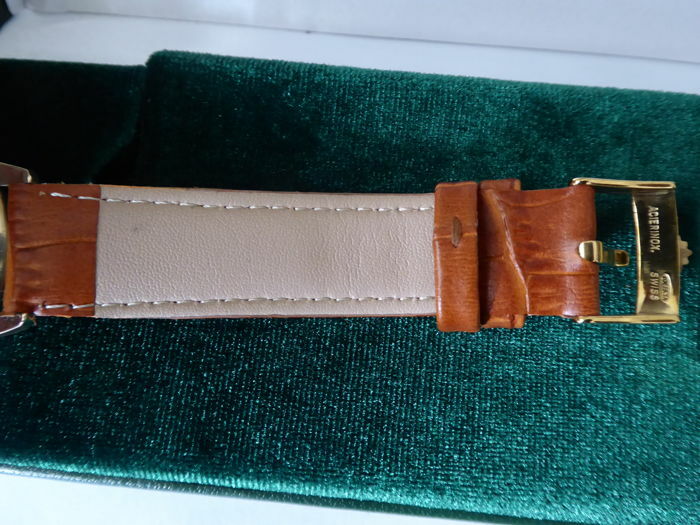 will fit up to a 9 inch wrist. 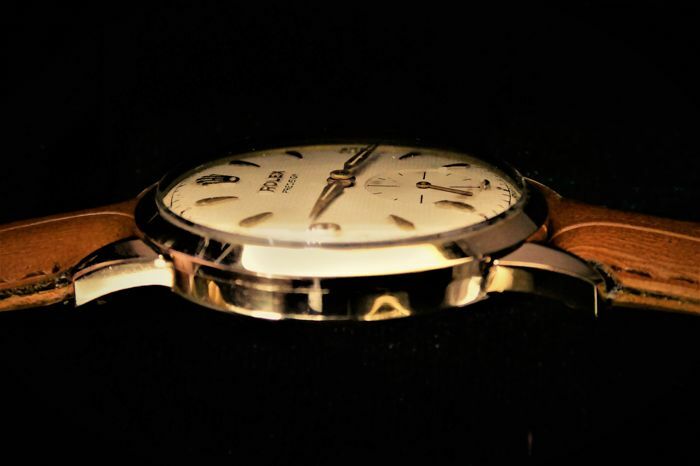 clear perfect lense. 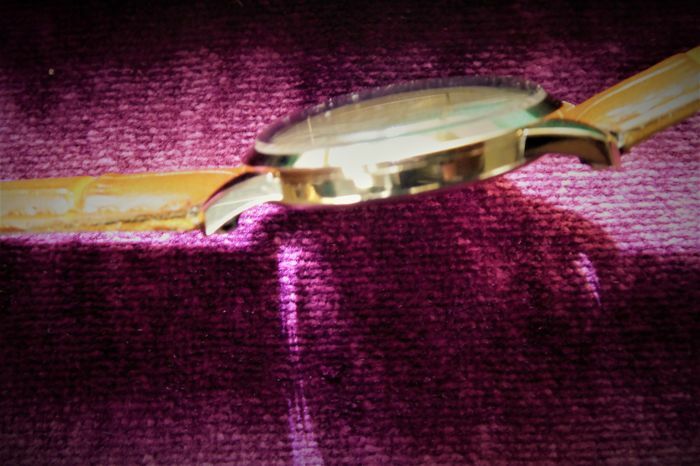 31.5 grams in weight . 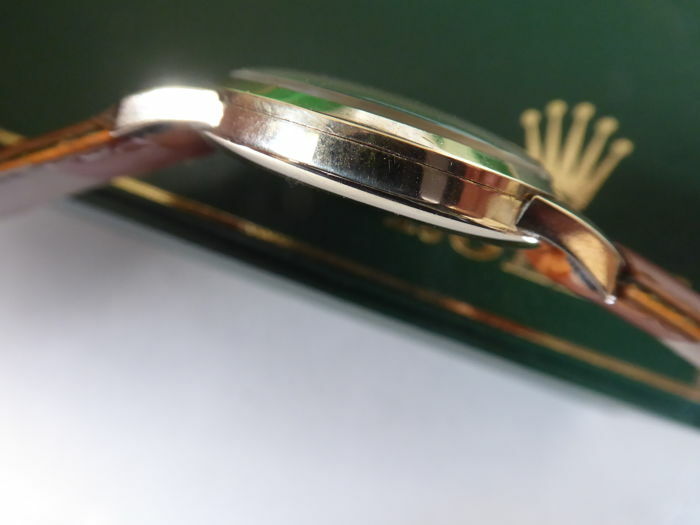 32 mm in diameter, not including the rolex crown / winding button. 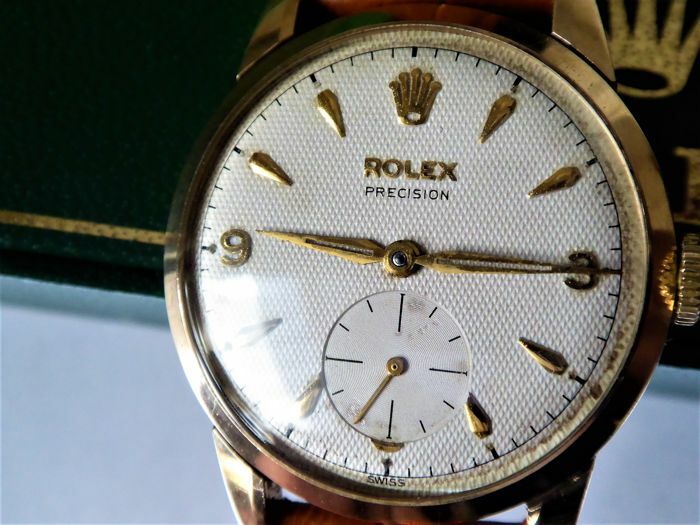 i this rolex will be dispatched within 2 days by royal mail registered safe post. 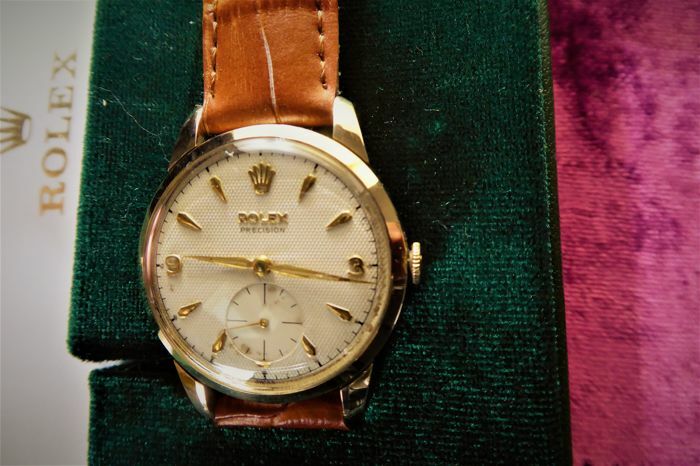 immediate payment being made.